We extensively supply the training room chairs which are widely used in corporate houses, schools and educational institutes. In addition, we offer our clients with the customization facility that helps us in meeting the expectations of our clients. These chairs are competitively priced and can be supplied in bulk quantities. We are the leading supplier of Training Room Chairs made available to our clients at competitive prices. 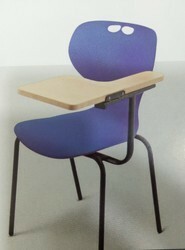 Ergonomically designed College RoomChairs are made using perforated steel. These chairs have adjustable arm rest and have a superior quality tilting mechanism. They can be custom made as per the needs of the customers. We can also supply these chairs in short span of time. We extensively supply the board room chairs which are used in schools, educational institutes and corporate houses. 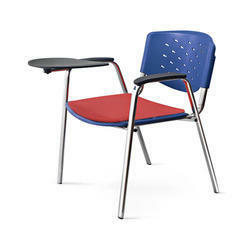 In addition, we offer these chairs in the designs and as per the prescribed needs of the clients. The stainless steel Canteen Chair with ply sitting base are made known for their durability and sturdiness. 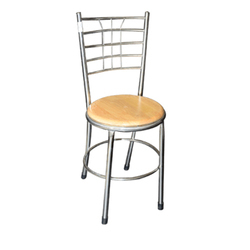 These chairs are widely used in the cafeterias, restaurant across the globe. They can be customized in terms of size and shape. Looking for Training Room Chairs ?